You are all probably familiar with Hithaeglir (Misty Mountains), the majestic chain of tall mountains crossing Middle Earth from Mount Gundabad in the far north to Methedras in the south. You also probably know that the cinematic representation of this mountains in the Lord of The Rings and Hobbit movies is based on real mountains in New Zealand South Island: the Southern Alps. This is where we are going next. 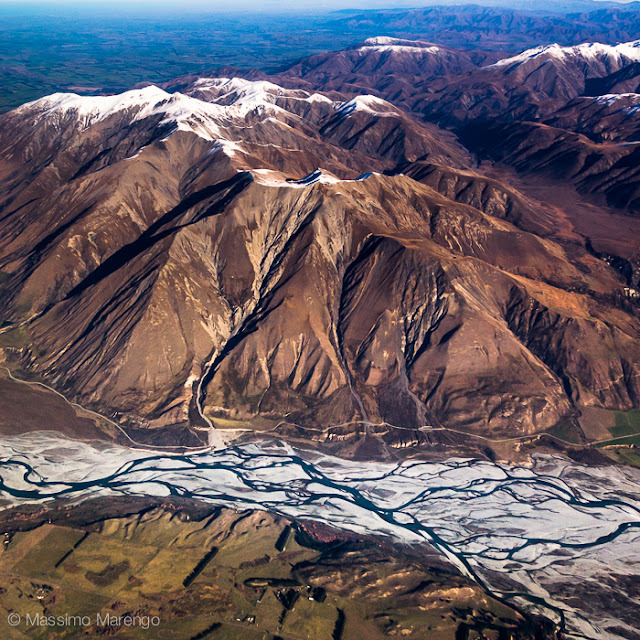 The Southern Alps are the "spine" of New Zealand South Island: 450 km longs they divide the narrow coast land on the West from the broad and green plains of the East. These are majestic mountains, covered by glaciers and crossed by long glacial valleys. We visited New Zealand in 2008, after a meeting Mayli had in Christchurch, and spent a couple of weeks driving around in the South Island. The photos in this page were all taken as I was approaching Christchurch from Sydney. 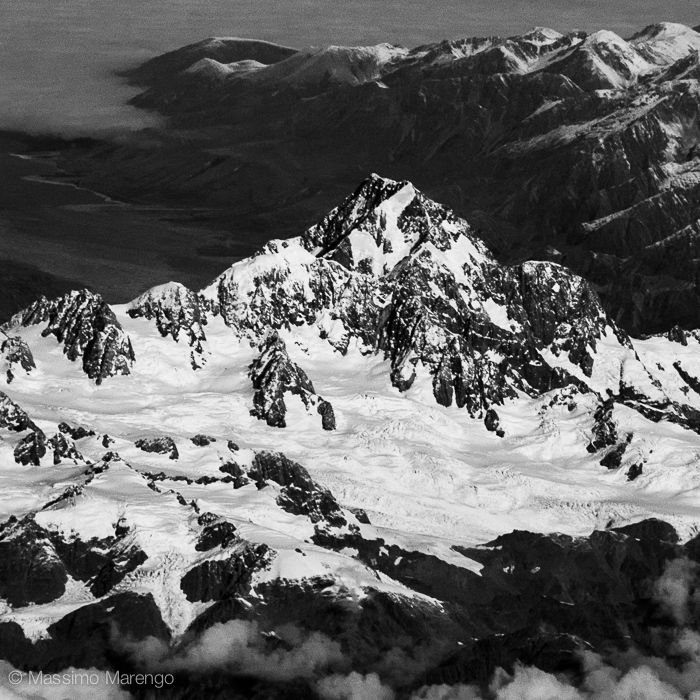 Since Christchurch is on the eastern coast, flying from Australia means crossing the island above the mountains and its glaciers. The Southern Alps have 3,155 glaciers with an area larger than one hectare, the longer of which (the Tasman glacier) is 29 km in length. The mountains themselves are nothing to joke about: the tallest peak, Mount Cook (Aoraki), is 3,754 m high, one of sixteen peaks higher than 3,000 meters on the sea level. In the next few posts I will dwell on the mountain photos that I took during that trip.